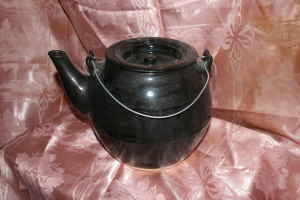 I saw your posting on Craig's List reading "Large Asian Teapot" http://toronto.en.craigslist.ca/tor/hsh/1169306530.html . As a Large-Asian-Canadian I am outraged that you would make a joke like that in a public forum. I thought that referring to L.A.s as "teapots" ended in the 50s but I guess I was wrong! PS: I guess that there is a small chance that you are actually just selling a teapot and are ignorant to the meaning of the term you have used. If this is the case please just post an apology on Craig's List and there will be no hard feelings.